Our Victoriana Glass Fibre Composite grit bins are the toughest available and are manufactured with a lightweight core encapsulated in 20mm high impact strength glass fibre composite. They feature gold or silver painted bands around the bin that give it an attractive Victorian style appearance that is ideally suited to heritage sites and town or city centres. This bin hold 224 kg of grit/salt and featured a hinged lift up lid that allows for easy access to the internal product. 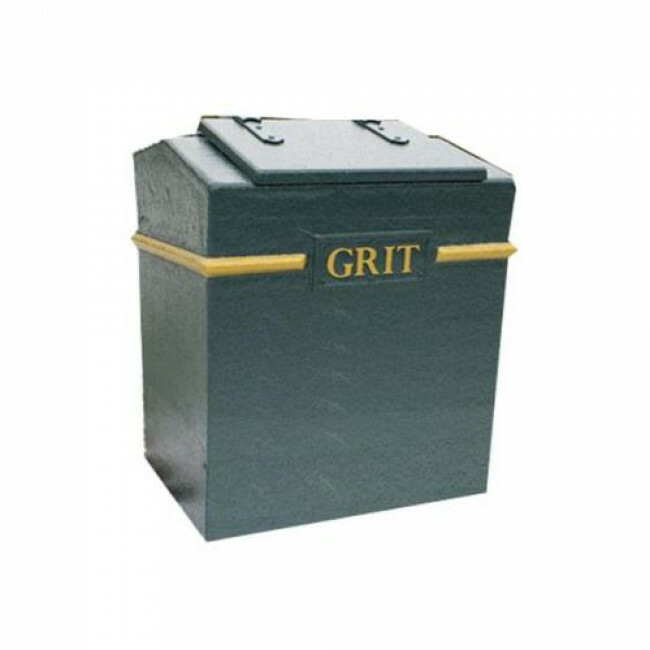 This grit bin is ideal for locating in residential areas, schools, colleges, car parks and by the roadside and to keep your grit/salt secure, an optional hasp and staple can be fitted to the bin. 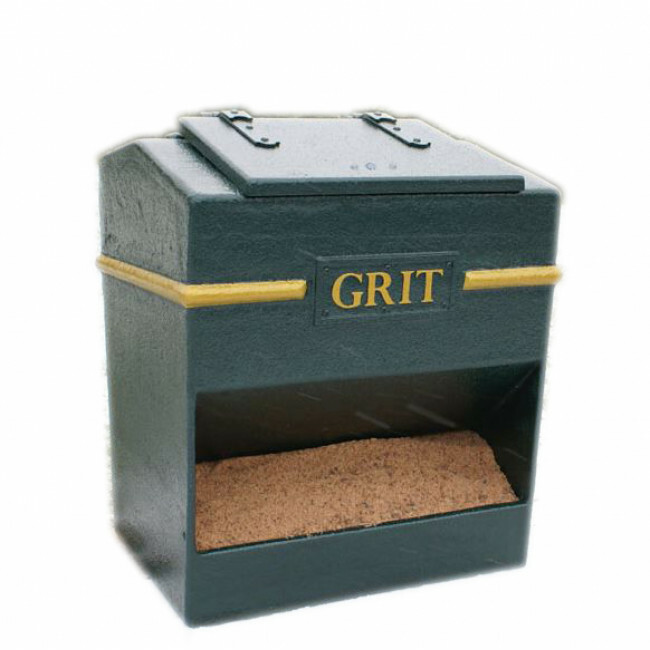 With this grit bin there is an option of a 'SALT' or 'GRIT' text plate, creating slight flexibility of the product. Further options with this product are either a textured or smooth finish (at an additional cost) and a closed or open front (also at an additional cost) - this allows for easy access to the grit with a shovel rather then from the top opening. There is also an addition optional of fork lift runners - these make the bin easier to move and position when full of grit/salt.